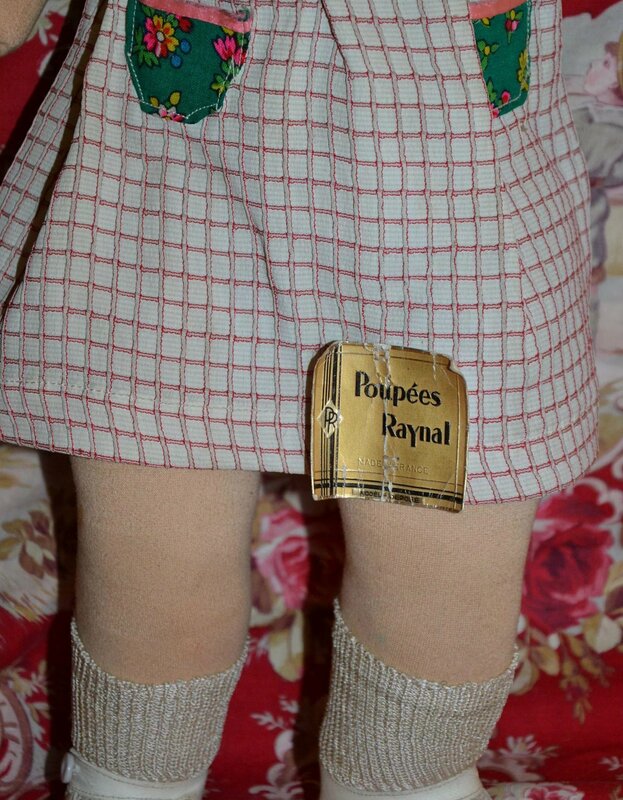 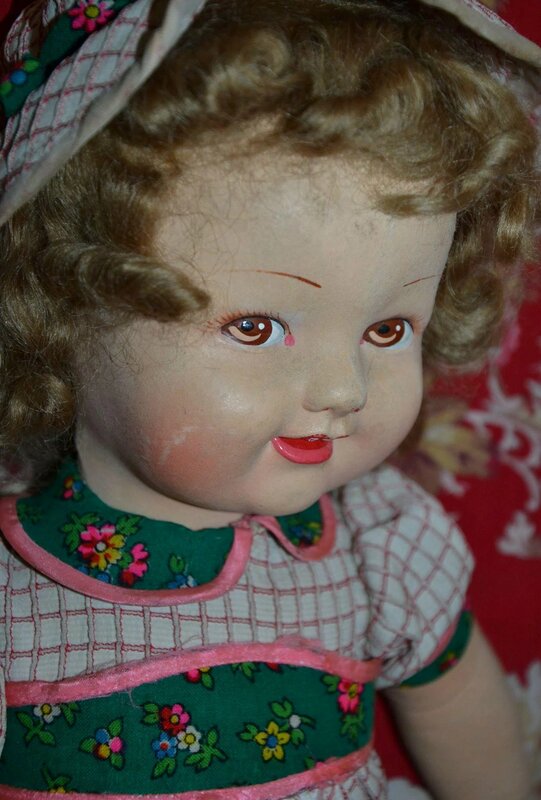 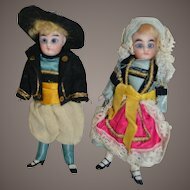 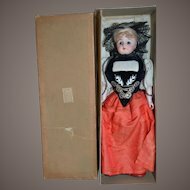 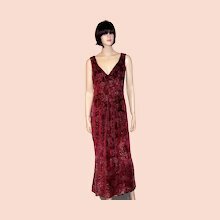 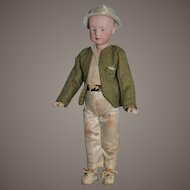 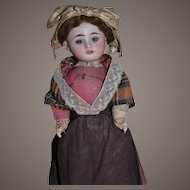 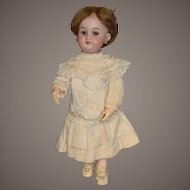 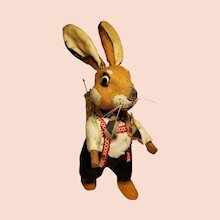 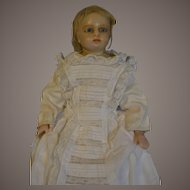 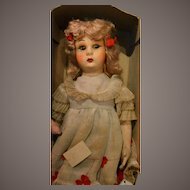 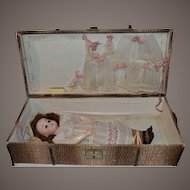 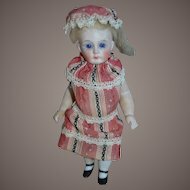 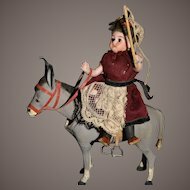 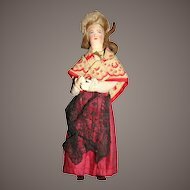 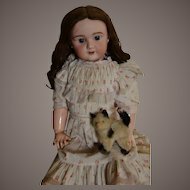 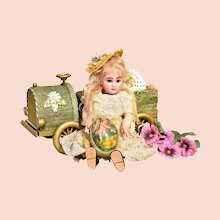 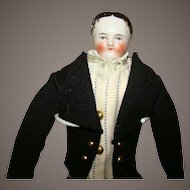 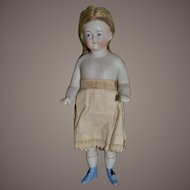 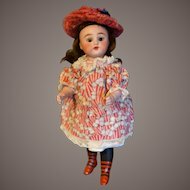 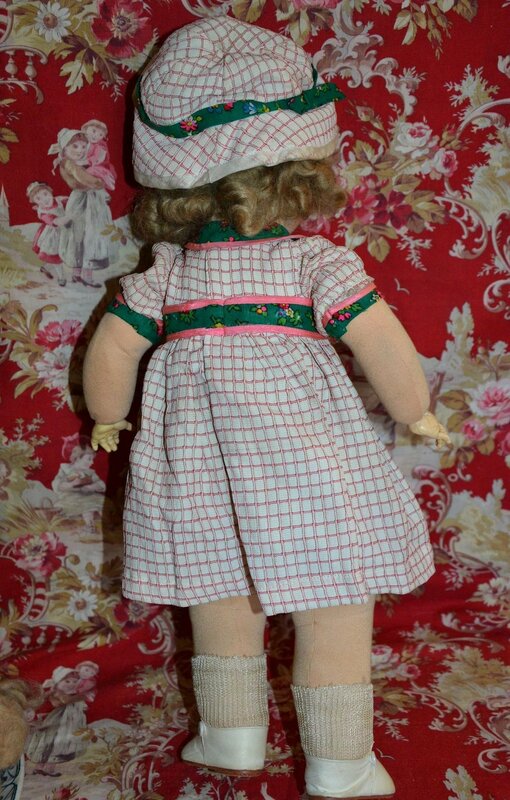 This 20" tall beautiful all-original doll was made by Raynal Doll making Company of Paris around 1930 th of the last century. 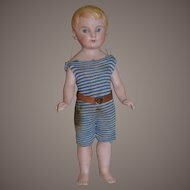 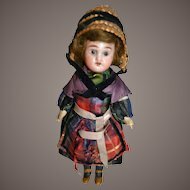 The doll has molded felt head with wonderful painted features and stuffed fabric body with rodhoid hand. 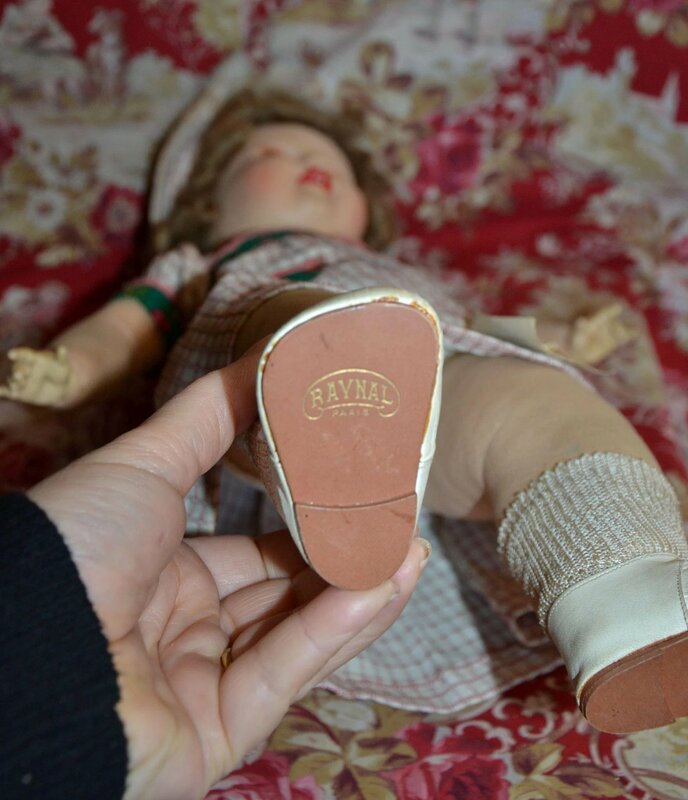 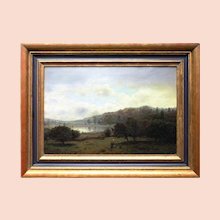 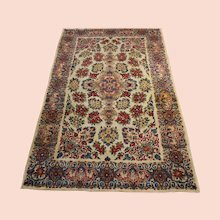 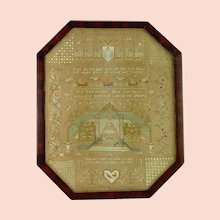 She is in very good condition, still carrying the original golden tag label. 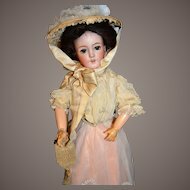 There are some age spots on her face like you can see on the picture and some damages on the pink ribbon of the outfit and the body perfect. 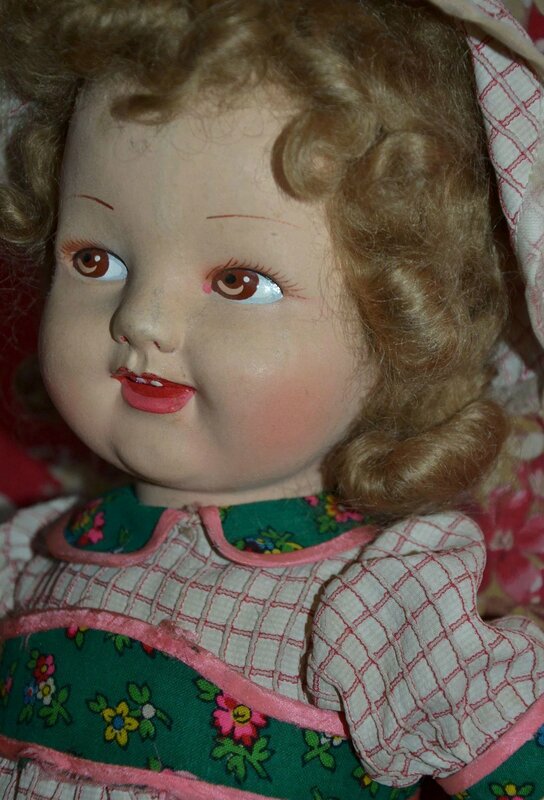 This a rare model representing a baby girl.